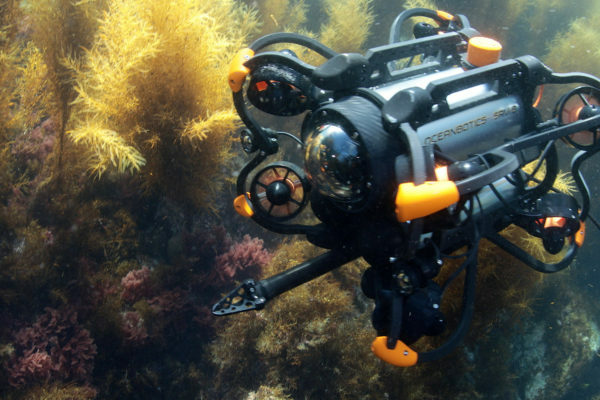 The adoption of remotely operated vehicles (ROV) for underwater use has grown swiftly in the past decades. 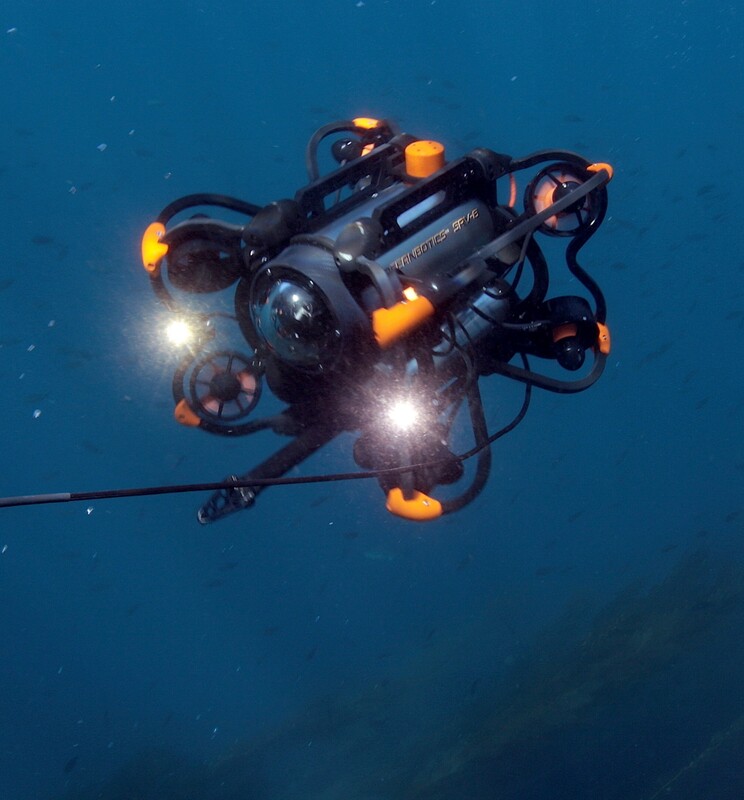 ROVs are able to stay on station longer, dive deeper and deliver real-time video for analysis. 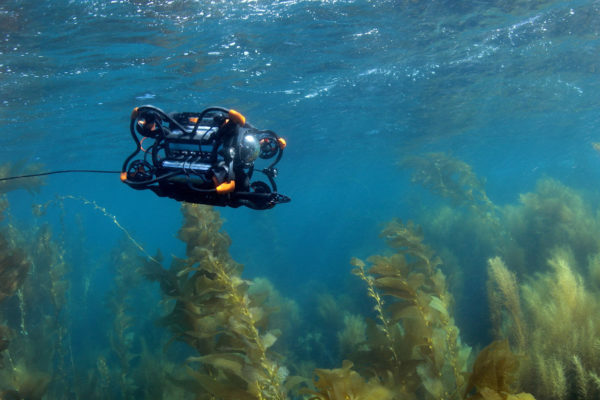 Yet, they have remained a complicated and expensive alternative to professional divers, requiring extensive training to operate and maintain. 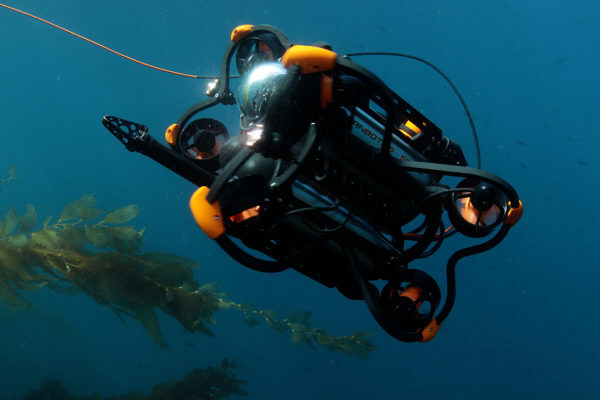 That all changes with the SRV-8 ROV by Oceanbotics. Building on parent company RJE International’s 27 years of supporting civilian and military underwater operations, the SRV-8 combines agility/maneuverability, ease of use, extensive versatility and affordability, making aquatic search, inspection and observation missions a viable option for communities, agencies and other entities of all sizes. Unmatched maneuverability and precision control. 8 independent thrusters give full 360° maneuverability along 6 axes. The operator “flies” the SRV-8 like a quad-copter. Advanced programming reduces the time needed to train an operator. 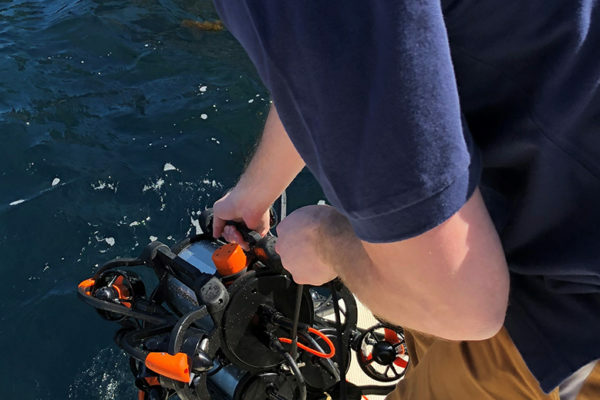 Using a standard joystick controller, which allows near-instant familiarity, the ROV can perform complex maneuvers such as crabbing, climbing and rolling. Or, it can be moved up, down, left, right, forwards or backwards with a single thumbstick to allow precision station-keeping without changes in attitude. A properly maintained SRV-8 can be in the water 15 minutes or less after arriving at the launch site. 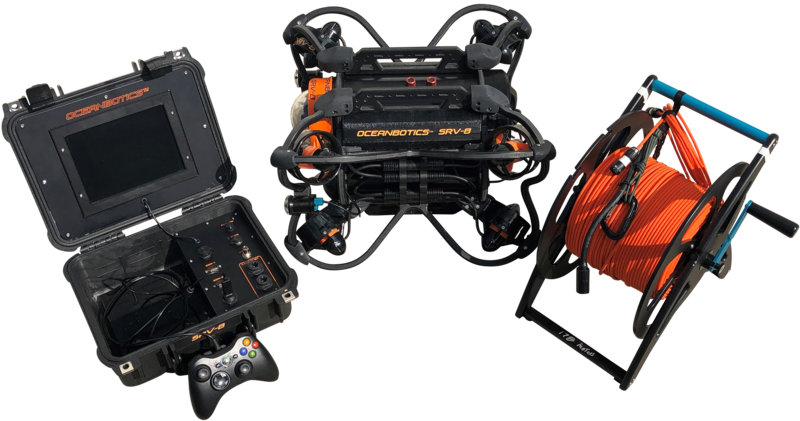 Deploying from two large suitcase-sized containers, waterproof quick connectors link ROV to tether to topside box & controller (with 8.4” sunlight readable monitor) – all in a matter of minutes. The sealed battery modules (available in Lithium or NiMH) are hot-swappable for extending the mission as long as needed. Being battery operated, there is no requirement for a topside generator, providing the ability to operate from any platform. In addition to getting up to 6+ hours of operation on a single charge (using Lithium batteries), the batteries provide enough power to get the SRV-8 on-station as rapidly as possible. 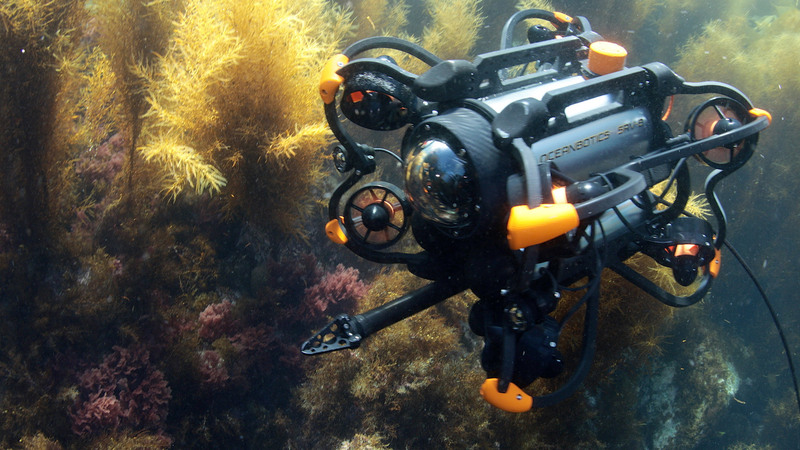 The SRV-8 is rated to depths as low as 300 meters (~1,000 ft). 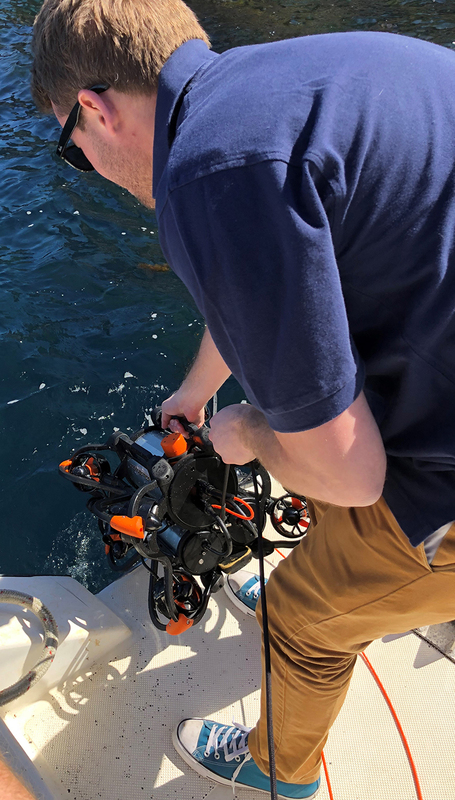 The tether reel supports lengths up to 400m (~1,312 ft) and the small diameter (4.5mm) of the tether itself reduces the effect of drag, weight and current on the ROV, making maneuvers and station-keeping easier. The SRV-8 is the “window in the water”. 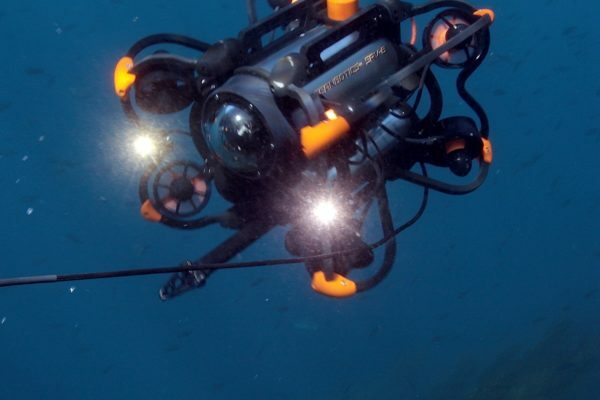 Two 1,500 lumen LED lights penetrate the depths with about a third of the brightness of full sunlight. 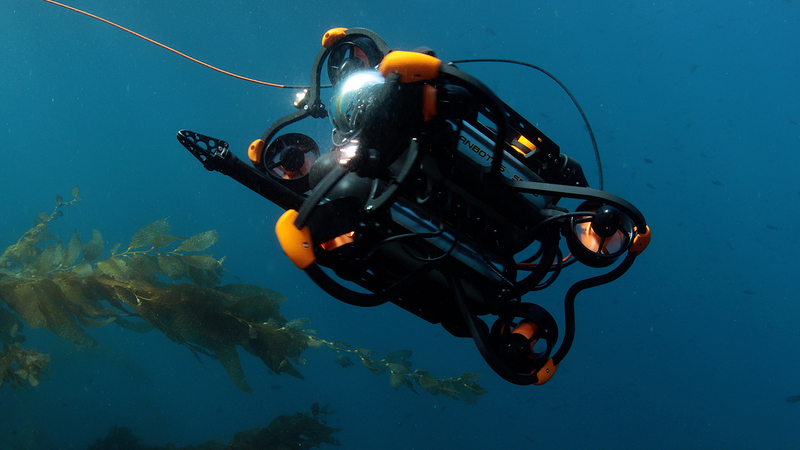 Combined, the lights illuminate 135° in front of the ROV, enabling the operator to find their target faster. Additional lights can be easily added to the frame. The onboard camera delivers dual feeds – a clear, real-time analog feed for the operator, and a high resolution digital signal suitable for viewing on-site or recording for later analysis. The SRV-8 is designed to tackle a wide variety of missions. 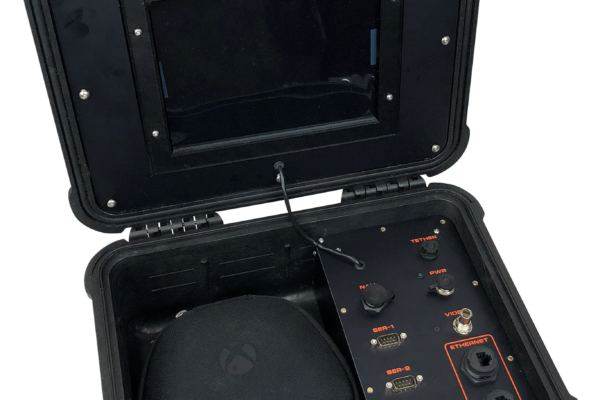 The same vehicle can be used for inspecting infrastructure, such as bridges, piers and pipelines, or deployed in a search and recovery mission with equal ease. 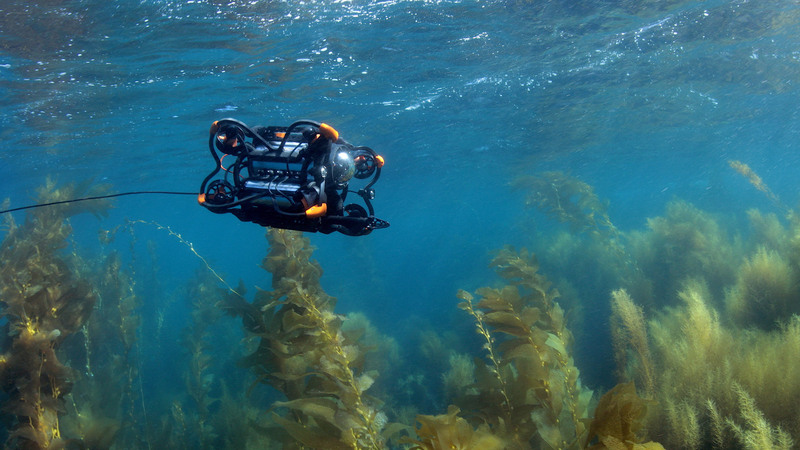 And, while the SRV-8 is fully capable in its basic configuration, its utility can be enhanced with accessories available from Oceanbotics or third parties. 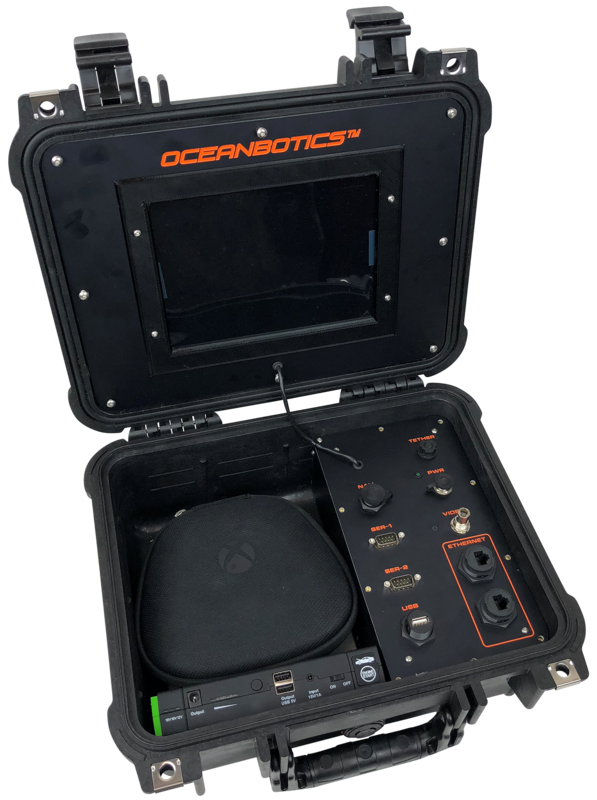 Oceanbotics offers a customized grabber arm and precision R-Nav and R-Nav Pro navigation systems.